Sometimes your best fish of the year isn't the biggest. It's the fish that persistence caught. 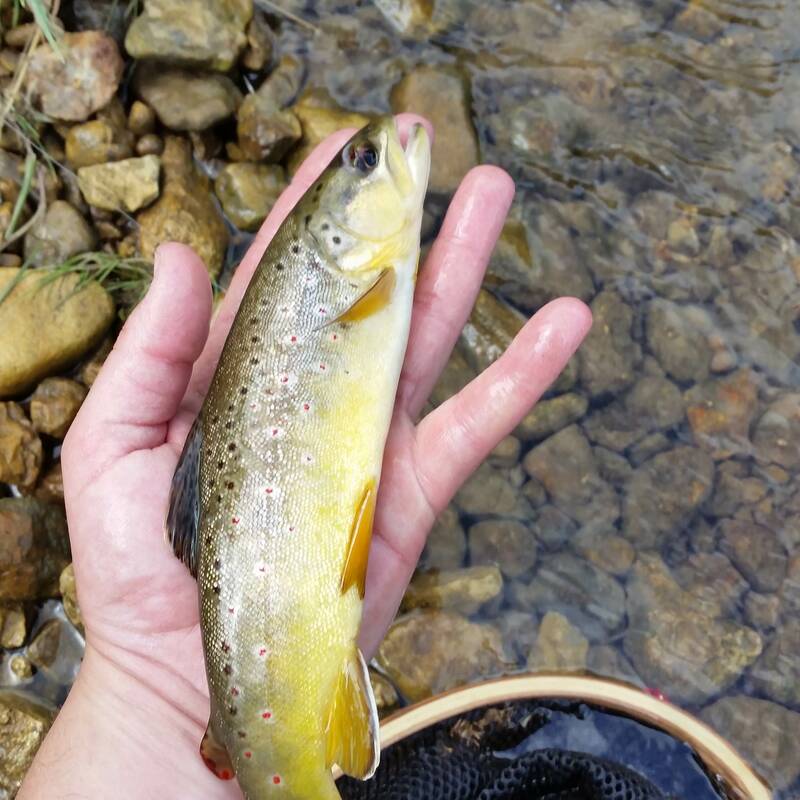 On this particular trip to the Driftless, I happened to go RIGHT after a heavy rain fall in July. I had taken two days of vacation mid week in hopes of having creeks to myself, so I wasn't about to cancel and let a little rain stop me. Well.....in hindsight, I should have done just that! I had one creek, that everyone is familiar with, that clears out very quickly after heavy rain. I went all the way to the head waters in search of stained water. Everything up to this point was chocolate milk. I tied on a San Juan worm and hoped for the best. 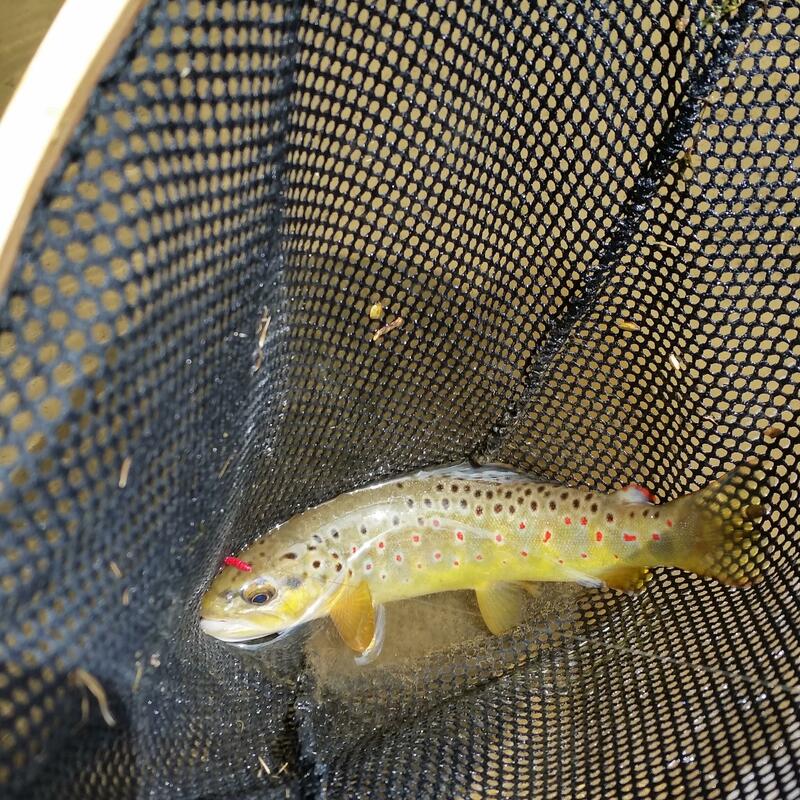 Within an hour, I landed this small brown. The fish of persistence (and lots of windshield time at this point)! After another hour of hard fishing with fast moving water, I caught my second of the afternoon. I was extremely proud of myself to catch fish in such tough conditions. Persistence pays off and it makes for memorable fish (even if they are dinkers). Sometimes your best fish of the year isn't the biggest. It's the fish that persistence caught. . The story is what matters. Some of my best days and favorite fish had nothing at all to do with size. I actually get pretty bored looking at nothing but trophies. Nice fish and better story. Not that people shouldn't be proud of and post their big fish. I do... or would if I got any..
Just that there are so many experiences and other fish in between. I'd like to hear about those.